We suggest fresh picked lemon verbena, but store bought will do as well. Wash leaves. Choose leaves that have a healthy look and feel. Take your first sip and enjoy the tart and refreshing cool down! Remember to share! There are certain truths in life. The sky is blue; you are bound to pay your taxes, and after taxes (or life or work) things are better with a little nip from the bottle. At OurLocaltopia we believe in many things; one of which is an abiding respect of and praise for the nectar known as gin. 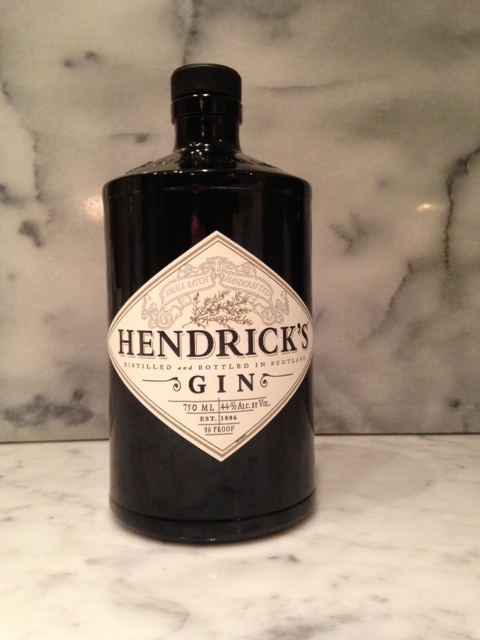 While we have explored drinks with different gins (sloe gin, sweet gin, infused gin), there has been one constant gin from the very beginning: Hendricks. We adore this exceptional gin, which is floral, deep, and outright spectacular. It’s worth seeking out if you haven’t tried it, and it’s now readily available in most markets. This will work with any gin, just remember that the quality of your booze is important. At least for the first drink! In the early days of our blog we would gather at a table planning classes or events around this iconic dark bottle, with no accompaniments but soda and limes. While that still passes, now and then we like to ante-up a bit. So here is a recipe for a pretty little drink, as refreshing as it is colorful, and one that is enjoyed under a blue sky, after taxes, in the midst of life, after work, or – any time you please. Enjoy it as we have, with friends, coworkers, and great company. Garnish with fresh citrus. Remember, garnishes are important! A good cocktail garnish is like a Christmas present that has been expertly wrapped with care and detail. It’s like receiving two presents in one. You’ve spent money on the gin and the elderflower liqueur… why stop there? Make it beautiful! Drink and repeat until life gets better! Aquire some St. Germain. This is elderflower liqueur, with a sophisticated floral note that plays well with the juniper of the gin. And you’ve got to lovely that art nouveau bottle. Prep your garnishes. Thin-sliced kumquat or other citrus (or a combo! ), plus thyme or another fun herb. Ready some fresh squeezed grapefruit juice. (Red is beautiful, but regular is fine!) Always use fresh squeezed and STRAIN it before mixing. We used a reamer to juice grapefruit halves. Fill a glass with ice. We like large ice chunks with this drink. Add your measured elements to the ice filled glass. Top with a spash of seltzer if you’d like. Stir gently, garnish and ENJOY!